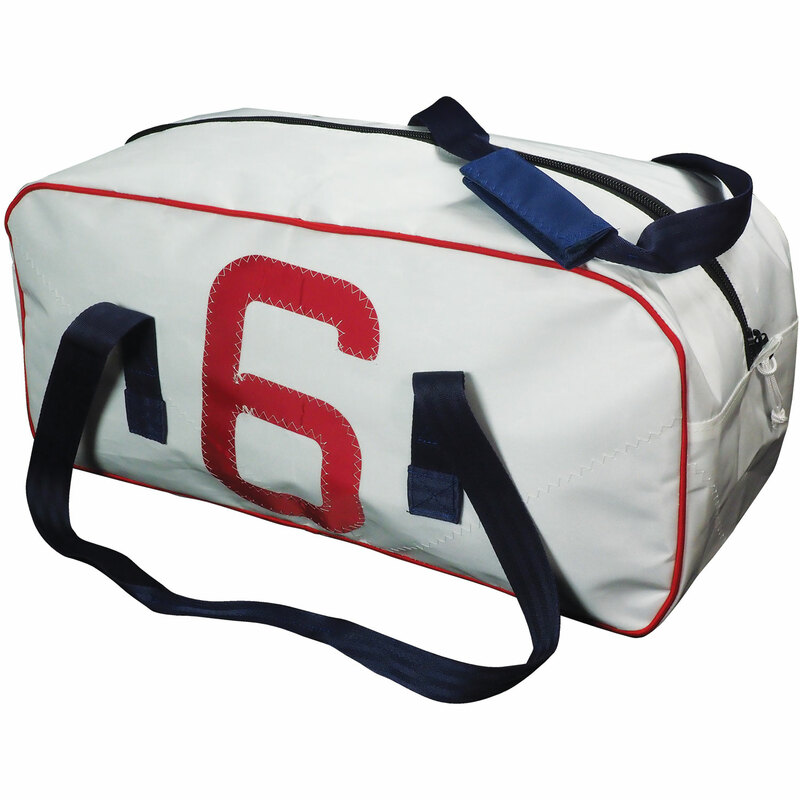 Manufactured from white polyester sailcloth, these premium sailcloth holdalls are convenient and affordable. Available in 3 handy sizes, these sail cloth bags are great for carrying your kit and stowing into lockers. Manufactured from Bainbridge Polyester Sailcloth with inner linings and finsihing. Featuring contrasting polyester sail numbers with zig-zag stitch pattern. Sail numbers vary in colour and number type.